The above coordinates are for the Church of St Anselms in Dartford. You do not need to go there to work out this puzzle. 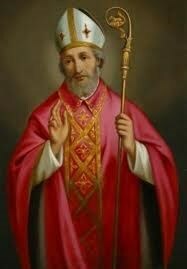 Saint Anselm, medieval scholar and pre-eminent English prelate, was born in Piedmont in 1033. The outstanding Christian philosopher of his day, he is best known for his ontological argument for the existence of God. He became Archbishop of Canterbury in 1093 and died on 21st April 1109. Even when Catholic Emancipation came in 1829, hostility to Catholics was extreme in Kent - it was known as Kentish Fire - and in Dartford it was notorious. There were Irish people living here by then and a Capuchin friar from Piedmont, Father Maurice of Cossato, opened a Catholic Mission at St Ronan’s, East Hill, in 1851. He founded the Church of Our Lady of Mount Carmel in Greenhithe and its school in 1863, and from there in 1865 he opened the first St Anselm’s Chapel and School in Hythe Street, and later the first Post-Reformation Catholic churches, each with a school, in Erith and Northfleet. 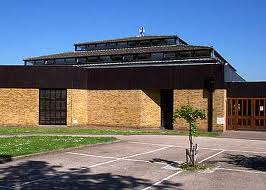 Once the St Anselm’s Mission was well established, it was handed over to the care of diocesan priests. Father Edmund Buckley gave us a purpose-built church in 1887, itself replaced by Father James Wallace, who built the church in Spital Street in 1900. It was always much too small, and in 1975 (under the reign of Pope Paul VI) the fourth St Anselm’s was built by Father Coleburt and opened by Archbishop Cowderoy on October 30th that year. Cache is a magnetic black tube smaller than a film pot.